Why the Plumbing Career Needs More Recognition. It’s 2017, and we’d like to think that the world is beginning to become a better place. We’d also like to extend this idea towards the stereotypes that surround the plumbers of both today and yesterday. In the past, people envisioned plumbers as a stout bald man with pants that slip down while he bends over to fix your plumbing. Yikes. Nowadays, plumbers are oftentimes looked down on as “blue collar”. However, despite these damaging stereotypes, modernday plumbers are far from unskilled and actually do some fairly sophisticated work. As your favorite local plumbers, we thought we’d take the time to dispel any negative stereotypes that surround plumbing work. Here are a few things to consider. Training to become a plumber isn’t an easy job, and it’s certainly not a “take a few classes and go” type of career. Technically, as plumbers, we’re never done training. As technology advances, so do we. Becoming a licensed plumber requires a few different steps. First, it’s important that you graduate from high school or get your GED. 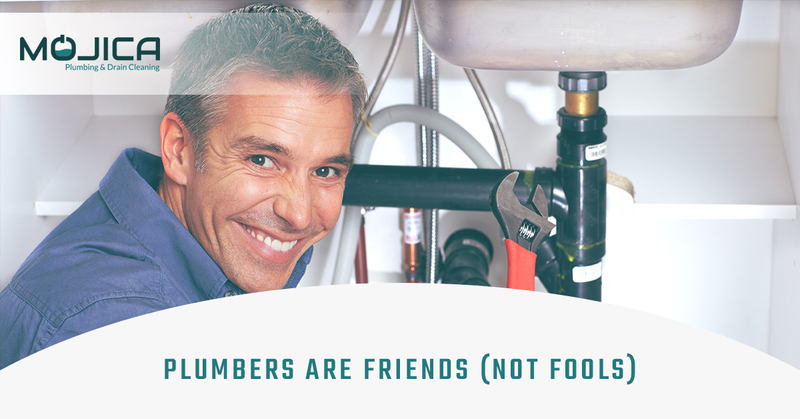 Plumbing work requires a good foundation in subjects including math, science, and computers, so as to develop a proper understanding of the mechanisms surrounding the plumbing business. Second, a plumber-to-be needs to enroll in vocational school, usually at a technical or community college that offers classes. Here, students learn off-the-field technical components about the materials and mechanisms that quality plumbing calls for. After finishing vocational school, future plumbers will then normally begin a four-to-five year apprenticeship with another experienced plumber. Here, prospective plumbers will learn the trade hands on, ensuring that they know the ins and outs of plumbing to a T. The workers here at Mojica Plumbing & Drain Cleaning, after learning the trade, went on to become licensed plumbers before they were hired by us. 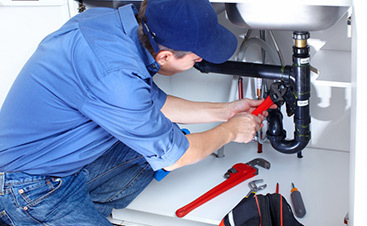 Our Austin plumbing company is very stringent in hiring plumbers who are trained and certified. As you can see, the process to become a plumber is quite a complex one. It isn’t an easy career to get into, and requires a good amount of training and certifications. You may be wondering “why,” though. Isn’t plumbing just tightening a few leaky pipes and cleaning out drains? Plumbing, despite people’s convictions, is complicated work. Like most things in the world, the technology used in plumbing, both on the commercial and residential level, is constantly evolving. Not only do licensed plumbers need a thorough understanding of plumbing foundations, but they also need to study what’s up to date, and what’s being published by the International Plumbing Code as well as the Environmental Protection Agency. For example, laws regarding lead in water and pipes are regularly being passed in order to try to protect the water systems. 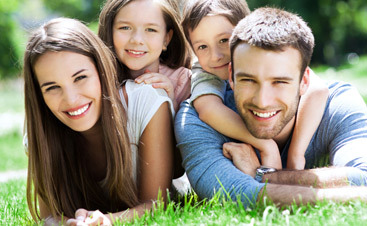 We try to keep up to date with the best practices to keep our clients safe and happy. Plumbing, though it might seem like a job for simpletons, is only for those who have the capacity to work hard, work smart, and constantly learn. When you think of a plumber, you probably have one image in mind. It’s easy to think that a job in plumbing is one that has no room for growth and advancement. However, this is far from the truth. Like most careers, those entering the plumbing sector can expect to spend some time in an entry level position, which is usually a service technician. After a little bit of hard work and some experience in the field, service technicians can advance into more managerial type positions. Plumbing is far from a dead end job and there are plenty of ways to advance in the field! You guessed it: plumbers, especially advanced and experienced ones, are quite the money rollers. The average plumber’s salary is something around $52,000, and that’s only the median. Additionally, the job is growing, with the number of jobs opening up being 12% higher than the national average. It’s a good time to be a plumber, folks. Mojica Plumbing & Drain Cleaning certainly appreciates the job, we just hope you do, too. Your plumbing is in our hands after all! 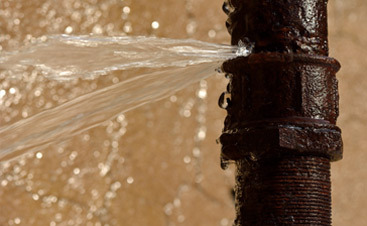 For help with your plumbing, feel free to reach out to us!